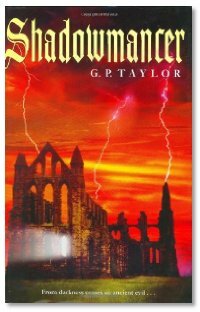 G . P. (Graham) has released his book Shadowmancer, going head to head with Harry Potter, topping the charts both in the UK and the States... moving now into a movie deal! And they said kid's fantasy wouldn't go anywhere. Speaking of going places, you'll have to listen to this interview to see how it all happened for Graham. It's a story you won't believe. The Soul Cages. She's primarily an eBook author and published under Double Dragon Publishing. Her book has won several awards, and we look for many more great titles from her. Back to WesterCon 57 where Daryl was promoting several new films coming out soon. One is from Walter Koenig of Star Trek fame. A sci-fi film maker in Phoenix. Whodda thunk it? He's also a published author, actor... lots of sci-fi credentials! Joe Murphy, our official book reviewer, takes aim at... sci-fi conventioneers? What? Holy crap, Joe... piss off our loyal listener base why don't you?